Except here in South Dakota, I’ve learned that June, July and August are still sweat shirt months. I’ve officially worn a sweatshirt in every month of the year now. Despite that depressing factor, I’ve been enjoying late summer activities. Here are a few of my cell phone snap shots from around the house and farm the last two weeks. 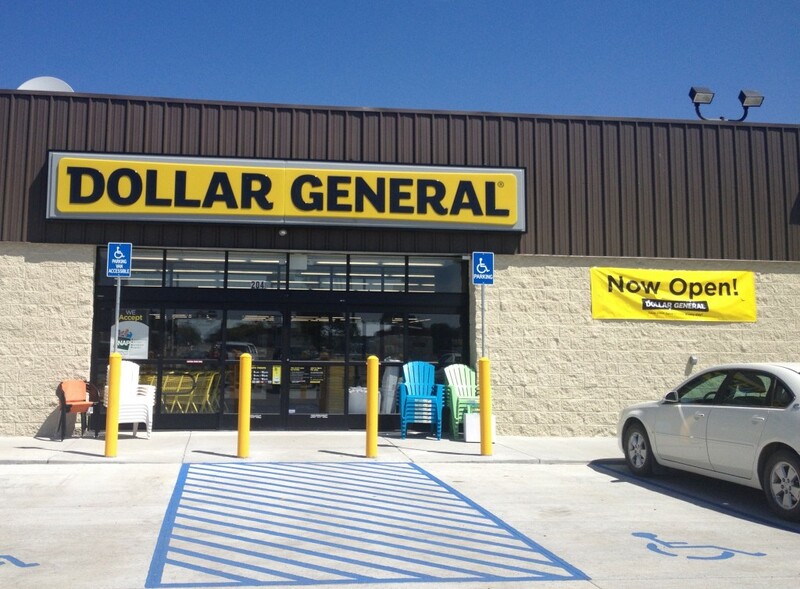 A town about 35 minutes away from us, Volga, got a Dollar General. 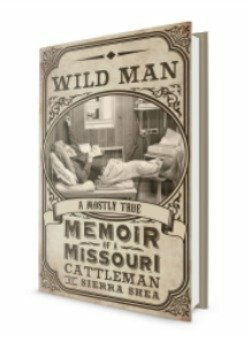 This is just one of the many things I miss from life in Missouri. So, I’m tickled pink to have one closer now. I MAY NEVER GO TO WAL-MART AGAIN! I got a new notebook & matching pen. 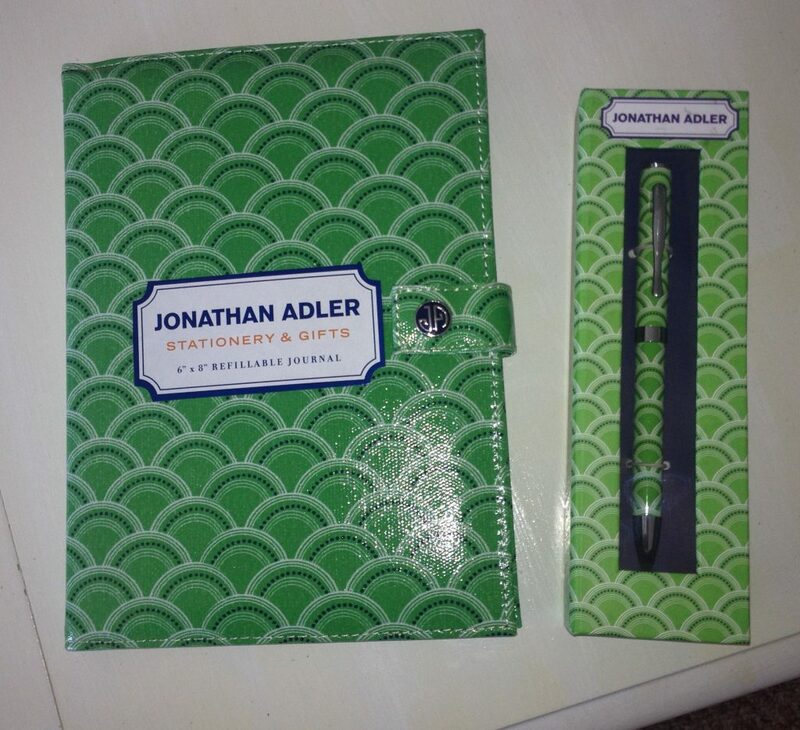 I just love stationary items and anything matchy-matchy. We had another couple calves over at the Four Sisters Farm. 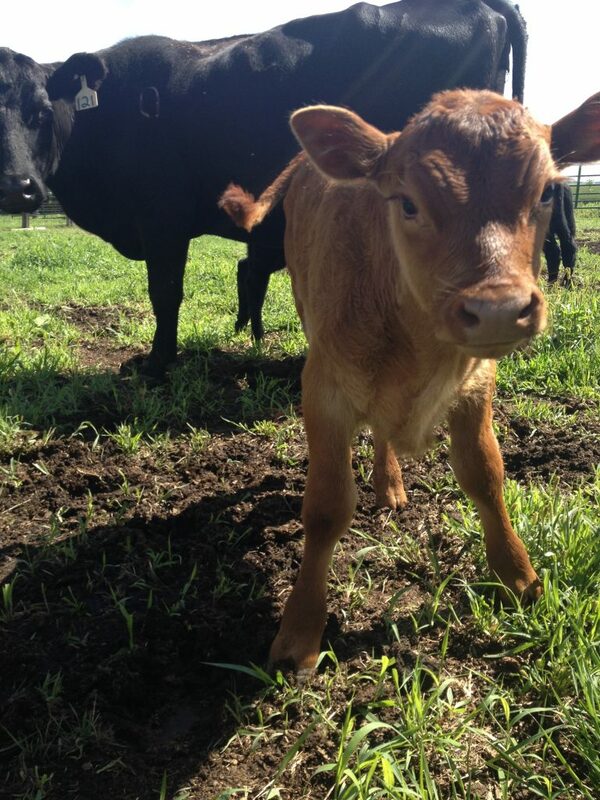 There are now 11 total summertime baby calves. 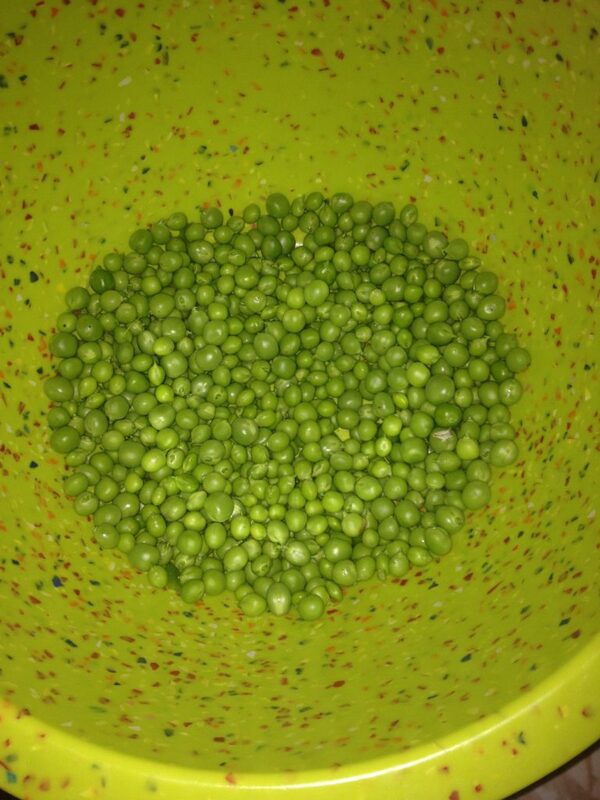 These are the last peas for the year. I froze these to enjoy one batch of creamed peas and potatoes on some cold winter night. John texted me these two amazing photos. 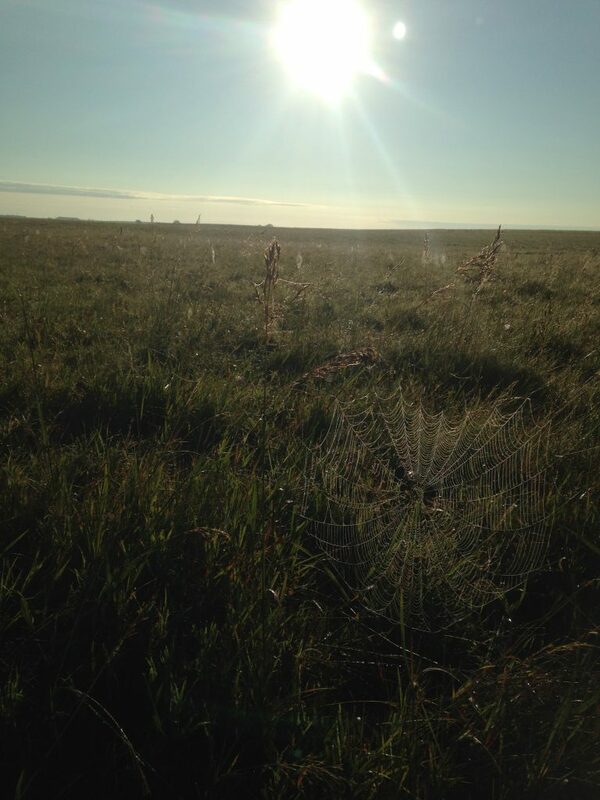 He was up early one morning checking pastures and cows. He was rewarded with these beautiful views! 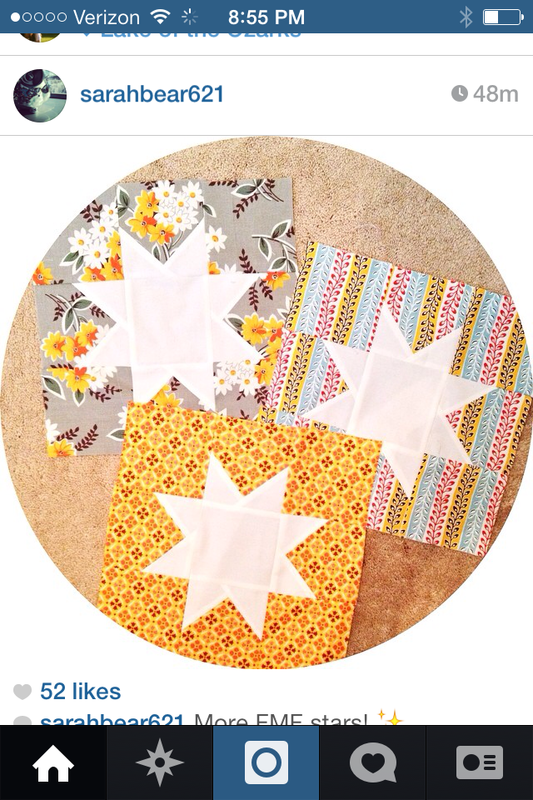 I found these inverse quilt blocks on Instagram and now I really want to make some! 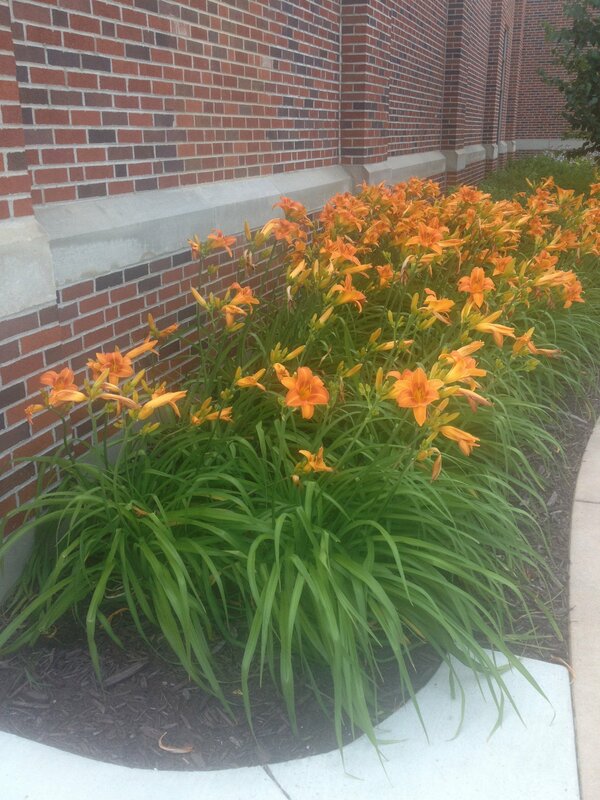 These lovely day lilies reminded me of my sister Savannah. Savannah is the day lily queen. 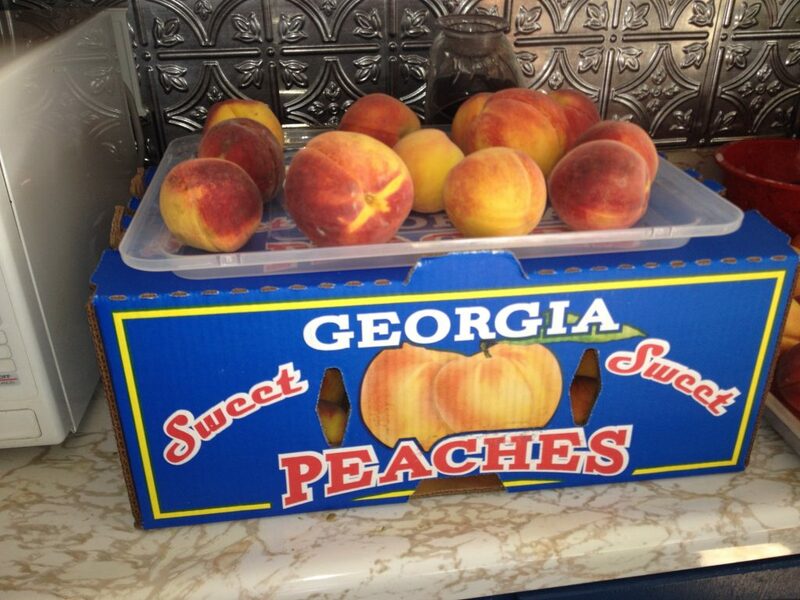 A neighbor of ours belongs to a fruit club and she ordered an extra box of peaches for me and picked them up. The whole kitchen smells amazing, I’ve been eating two or three a day…and I’m going to freeze what’s left this weekend. 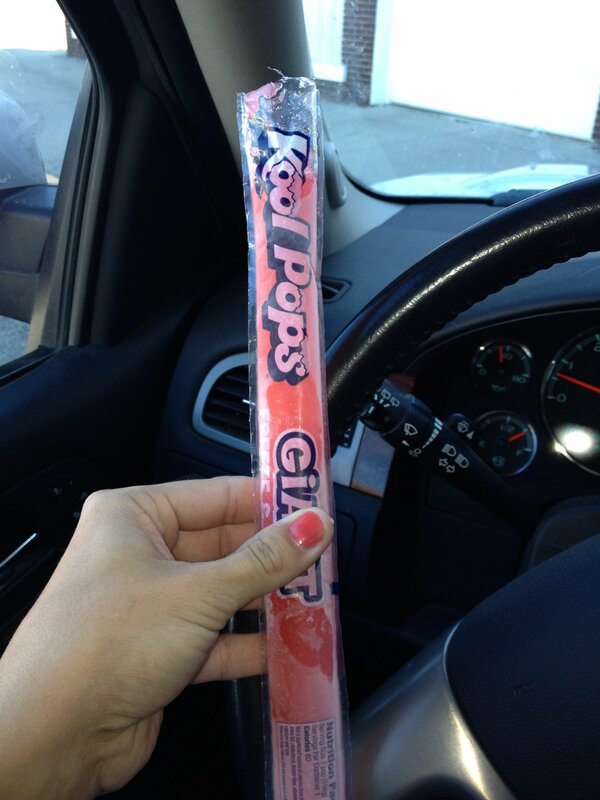 Okay people, nothing says summer like a giant popcicle! 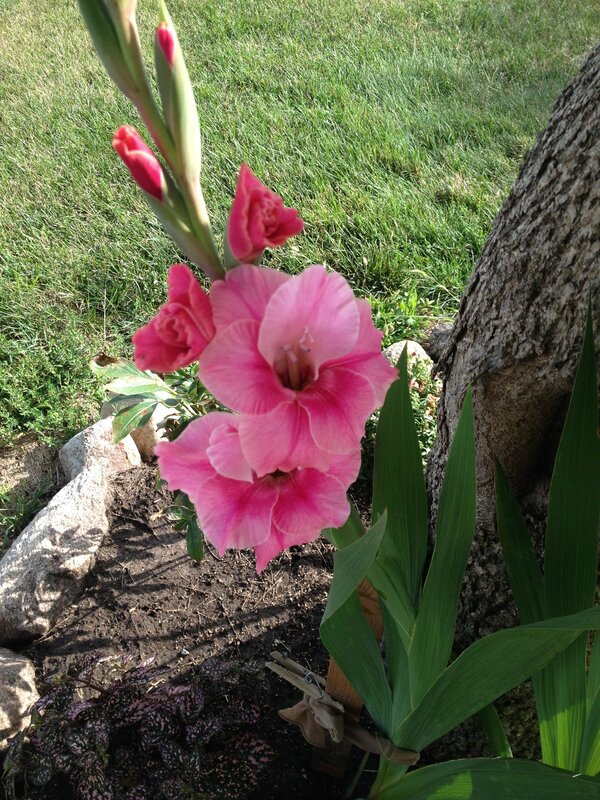 I’ve been sharing these blooms on my Facebook page, I am still amazed that they grew! Here’s another little curious guy that you may have seen before on Facebook. 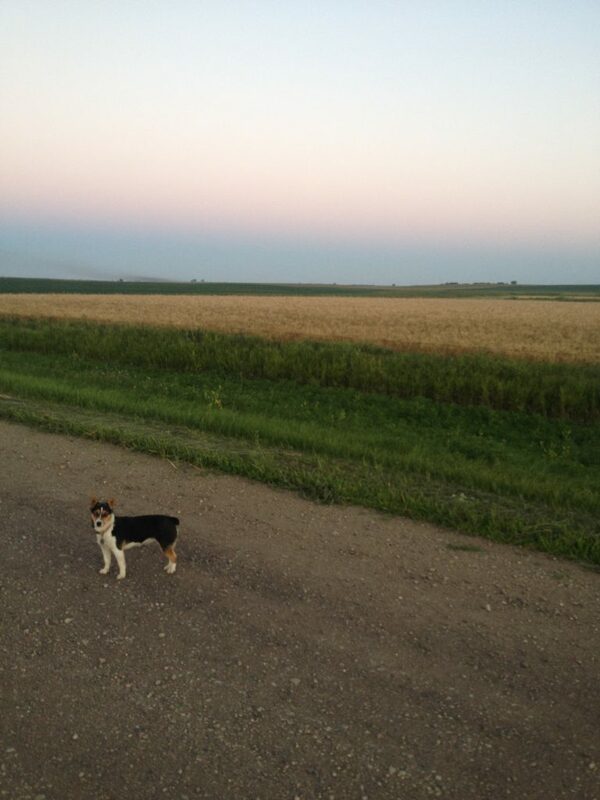 Roxy and I are still going on lots of walks. It’s relaxing for this pregnant lady and a break from my computer screen is usually welcome! Ron and John will be harvesting this wheat for another neighbor any day now. Since over half of the cows have had their babies now, we ordered a corn/pellet ration from the local cooperative. We’ve been feeding the pairs about 5 pounds per head per day. 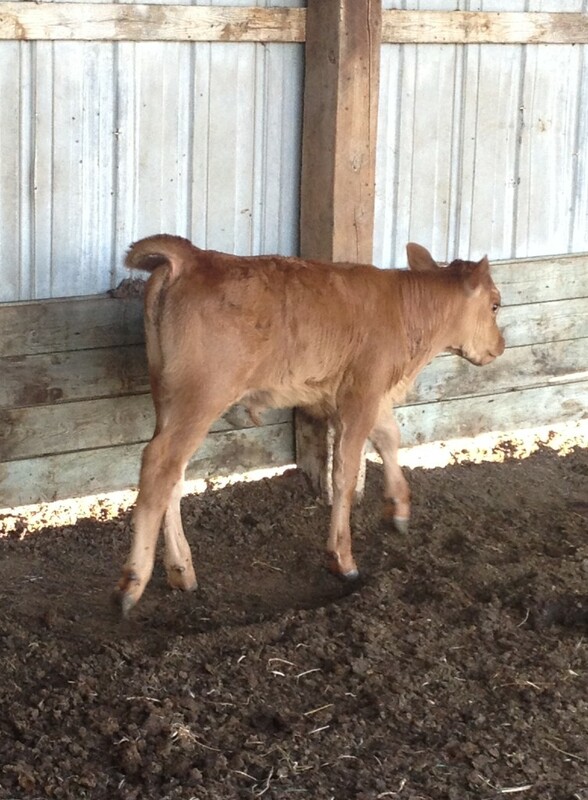 Since they are now nursing growing baby calves we wanted to boost their diet. The corn provides the extra energy they need to produce all that milk. Because they are in a small area, they just have access to hay and a little grass so we are supplementing their diet. They love the corn! 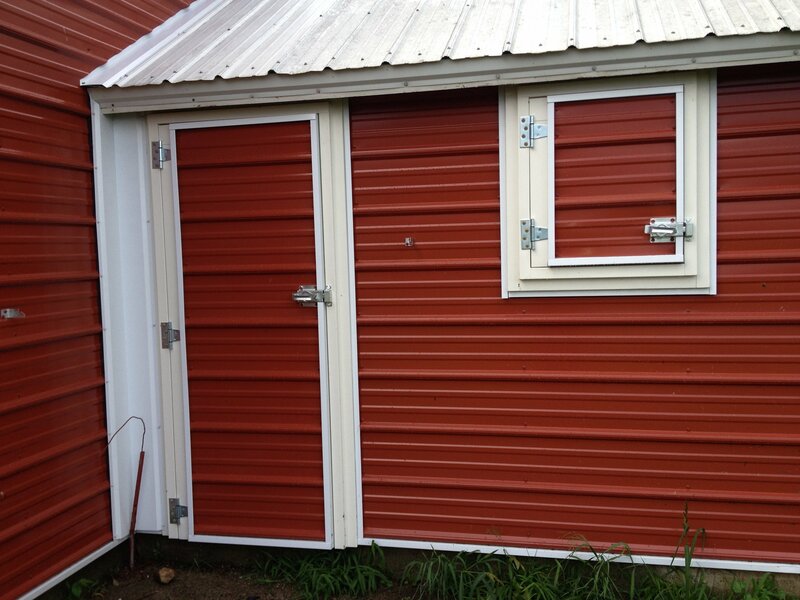 I think it gives me, John and Elaine great joy to use the fancy new door into the feed room to load the buckets of corn. Since there are only 11 pairs, the math only works out to about two buckets per day. Elaine feeds them when she gets home from work usually, so they love to see her. Cows really do know who feeds them. 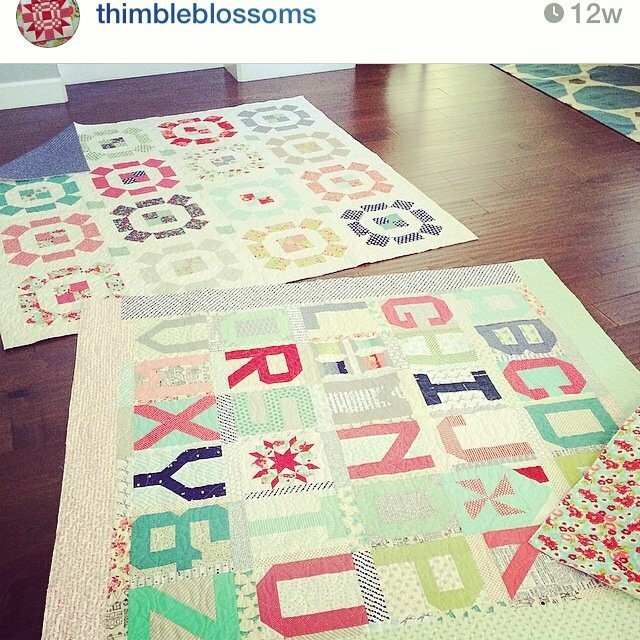 I also fell in love with this ABC quilt I saw on Instagram. I think it would make a great baby quilt. Just a few more summer photos! Have I mentioned I love summer? 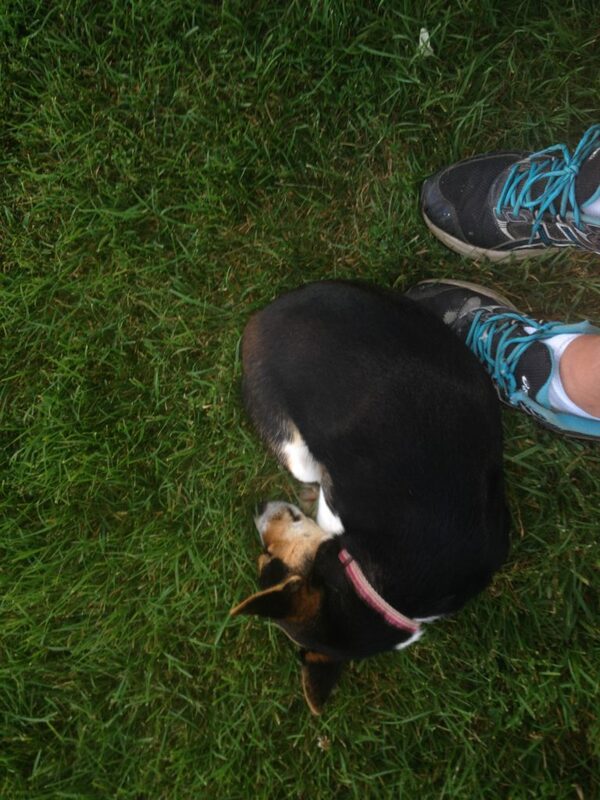 I think this one is so sweet, Roxie cuddled up on/by my feet while I sat in the yard and read the other night. Do I even need to say anything? 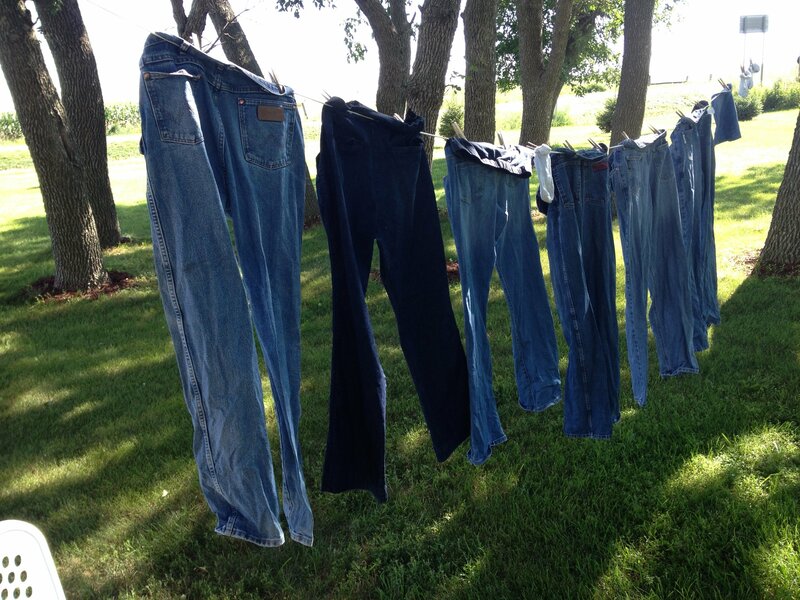 Nothing says summer like jeans drying on the clothes line. We turned the cows that are still waiting to calve down into this lane to graze. 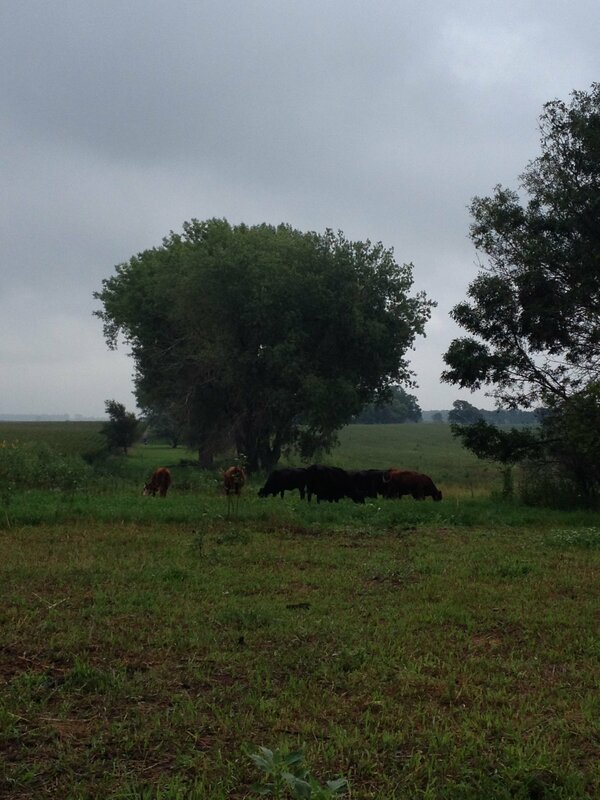 We decided not to put them on the small pasture that we planted earlier this spring. 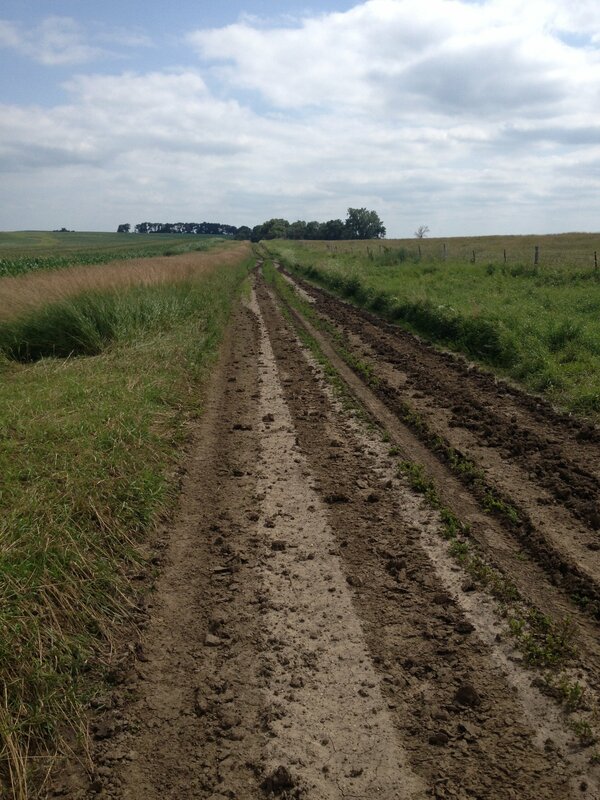 Somebody rutted up the dirt road after a rain! Roxie and I had to walk on the main road instead. 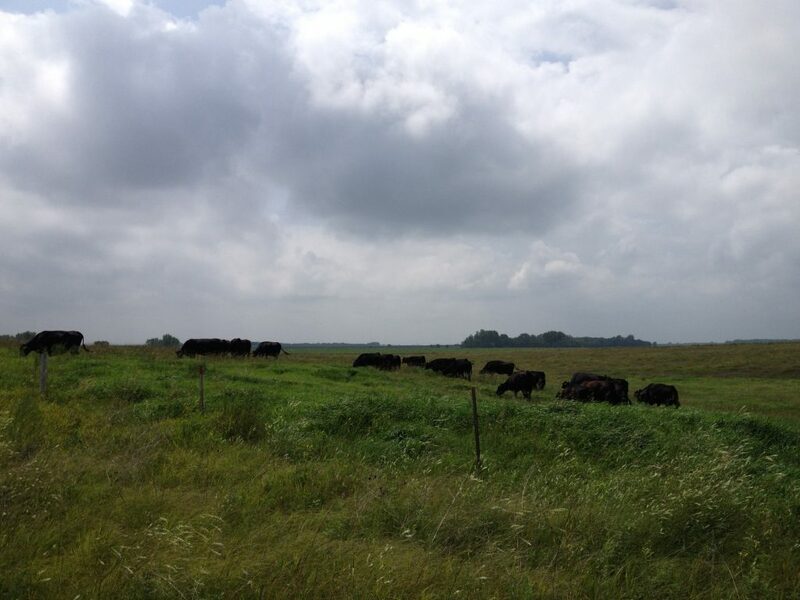 John and I moved some of the Blachford Farms Angus cows to fresh pasture. We rotate them back and fourth to give the grass a chance to rejuvenate and regrow. So, that’s life lately. How are your late summer days going? Summer is flying by in Missouri too. The tomatoes are finally coming in enough to get them canned for winter soups and sauces–saving some for BLTs first. It has been in the 50s at night so shirts, but not sweatshirts, are needed for morning walks. They’re going TOO fast!! It’s been unseasonably cool here, which has put a bit of a damper on our garden. Our tomatoes haven’t had enough warm days to really get cranking. 🙁 I want a ‘Roxie’! She’s so stinking cute! 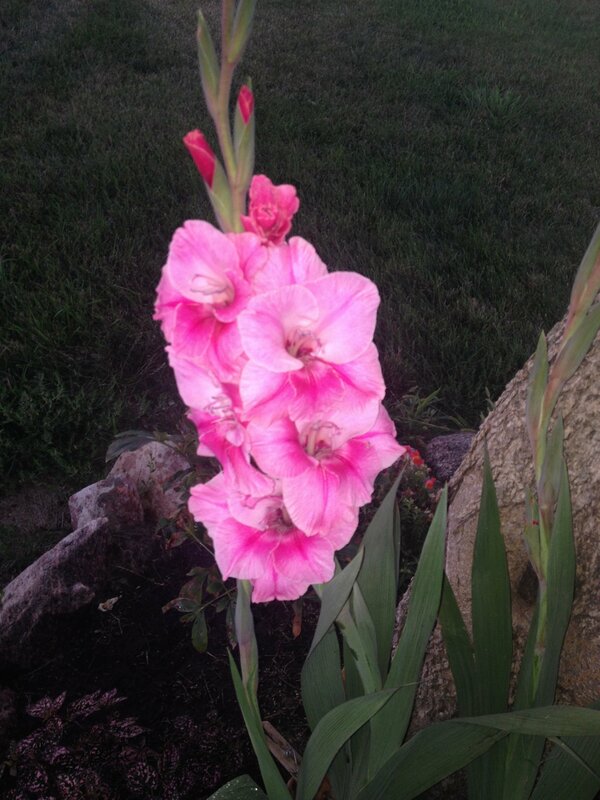 I also love glads. They certainly live up to their name. I love to plant them in my veg garden and share them with someone who could use a little delicate beauty to pick up there spirits. 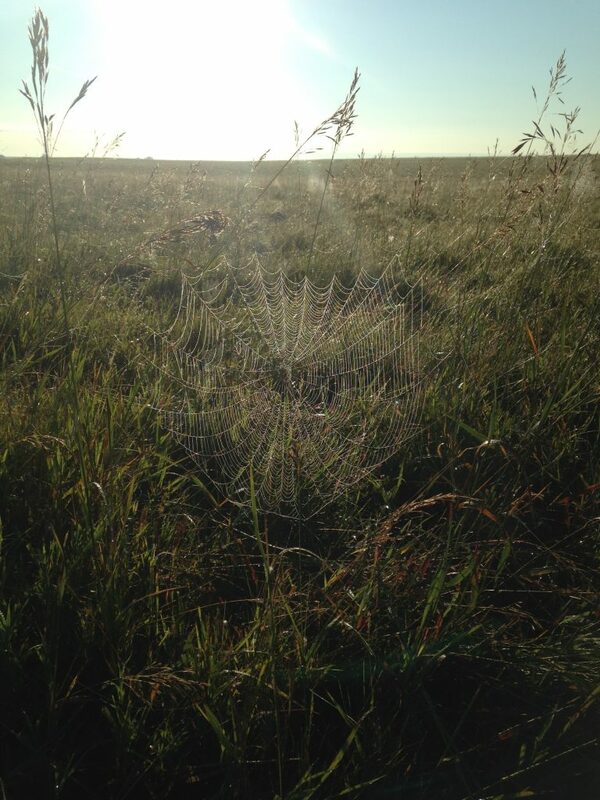 Also a quiet walk in nature often reveals some of what I like to call “God’s little pieces of Heaven”. Don’t be too busy to notice them!